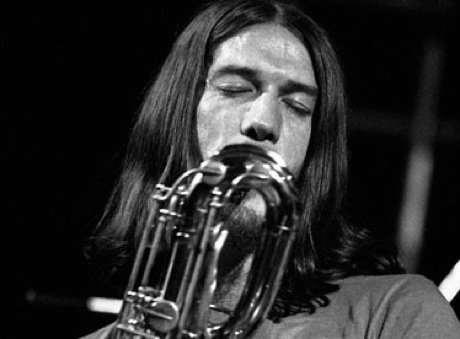 Woodwind player Jim Sherwood, who was a member of Frank Zappa's Mothers of Invention, passed away on Christmas Day (December 25) of unknown causes. He was 69. Sherwood met Zappa in high school, and the two went on to collaborate on several projects. One of Sherwood's most notable moments came when he contributed to the Mothers of Invention's first album, 1966's Freak Out! (where he is credited with "noises"). Initially beginning as the group's roadie, he eventually became a full member of the group. Sherwood went on to play with Zappa after the Mothers of Invention disbanded, and contributed to the songwriter's final completed album, 1994's Civilization Phaze III. He also played on albums by acts like Ruben and the Jets, the Grandmothers, Ant-Bee, Don Preston and Sandro Oliva, in addition to appearing in several films. Sherwood's nickname was "Motorhead," evidently because of his fondness for working on cars. The horn player's output slowed in recent years following Zappa's death in 1993.